Little Dean Cot is a semi detached bungalow apartment situated on the North Downs in a rural location designated as an Area of Outstanding Natural Beauty. The accommodation is for 2 people and comprises of a sitting room, a very well equipped kitchen with breakfast bar, one bedroom with a double bed, a bathroom with bath and shower and a small private garden. It is an ideal location for a quiet, leisurely holiday and for walking and cycling. There are also plenty of places to see and things to do in the area and, being centrally located, it provides a base from which to tour the lovely county of Kent and beyond. The property has its own front door and access from outside is via a small fenced garden which is for your exclusive use and is equipped with a garden table and chairs. It is ideal for a BBQ and for eating outside. Adjacent to the garden is ample off road parking. The property is double glazed with radiators in all rooms with an additional stove effect fire in the sitting room, for added cosiness in the winter months. 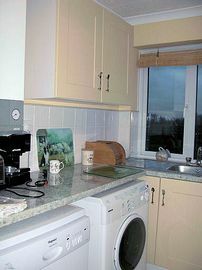 Constant gas fuelled hot water is included in the price as is the heating and electricity. Local Services: Rural setting with pubs and restaurant 1 mile; villages 3 miles. Closest public transport 3 miles - Charing Station mainline trains to Ashford Internationsl and London Victoria via Maidstone. 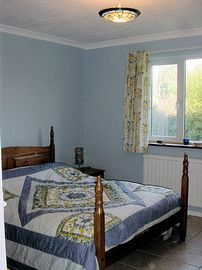 Spring & Summer: £55.00 per night £350.00 per week. 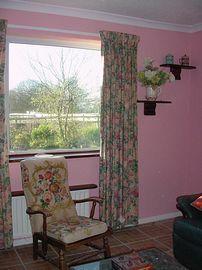 Autumn: £50.00 per night £300.00 per week. Christams/New Year: £60.00 per night £400.00 per week. Winter: £40.00 per night £250.00 per week. All year round subject to availability. "Thank you for a wonderful holiday." "Thank you for a peaceful stay" "Comfortable & relaxing." "An enjoyable stay in this nicely decorated cottage" "Comfortable, relaxing & centrally located to explore Kent" "Great weather & hosts" "The cottage has everything one needs...beautiful countryside & walks" "Glorious countryside"